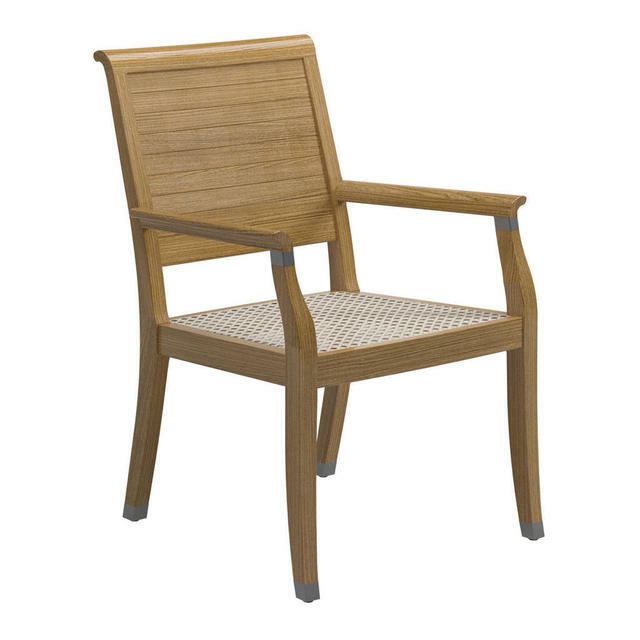 Elegant styled chair taking influence from plantation style furniture, the Arlington Dining chair by Gloster is a harmonious blend of a all weather weave with a buffed teak frame. 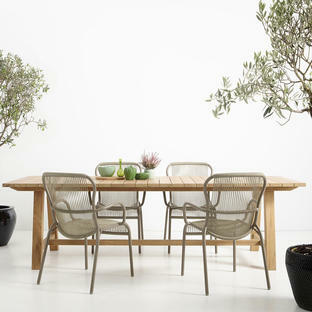 The woven seat is in an all-weather weave in an off-white colour. 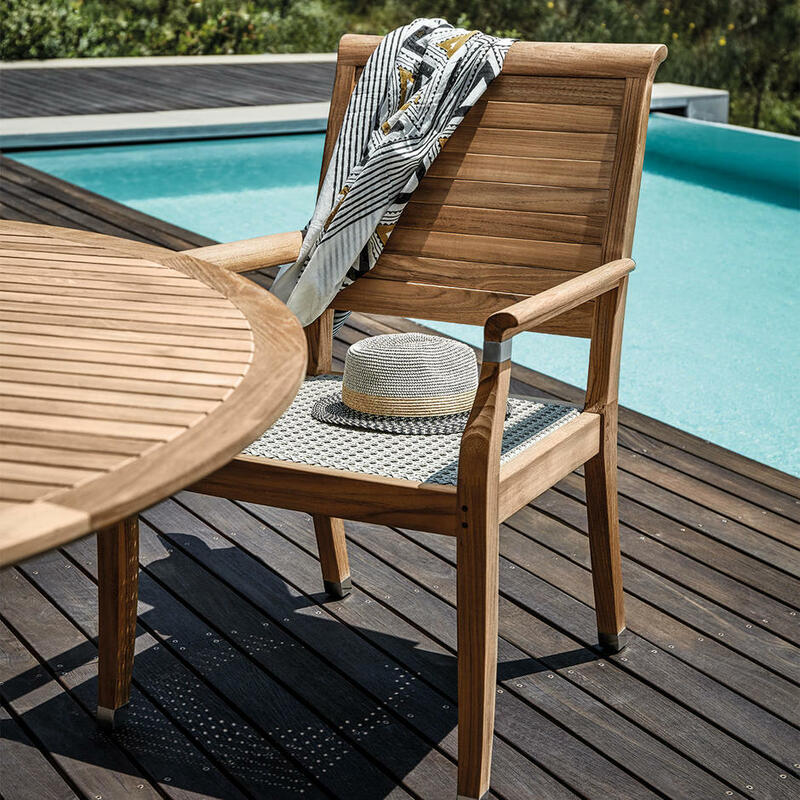 The seat back is closely slatted teak panelling. 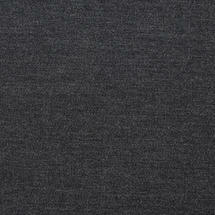 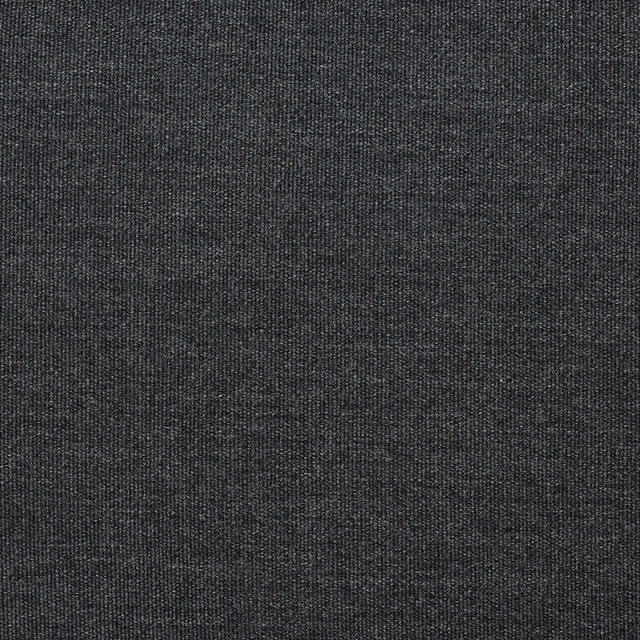 A seat pad in soot all weather Sunbrella fabric is available to order separately. 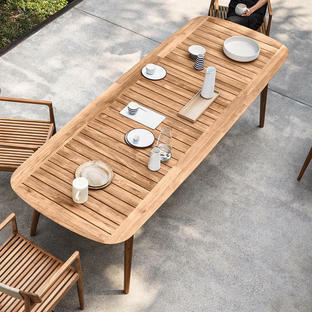 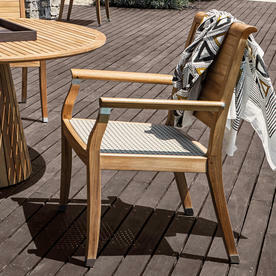 Try the Arlington dining chair with either the Clipper dining table as shown here or with the Buffed teak Whirl dining table, by Gloster. 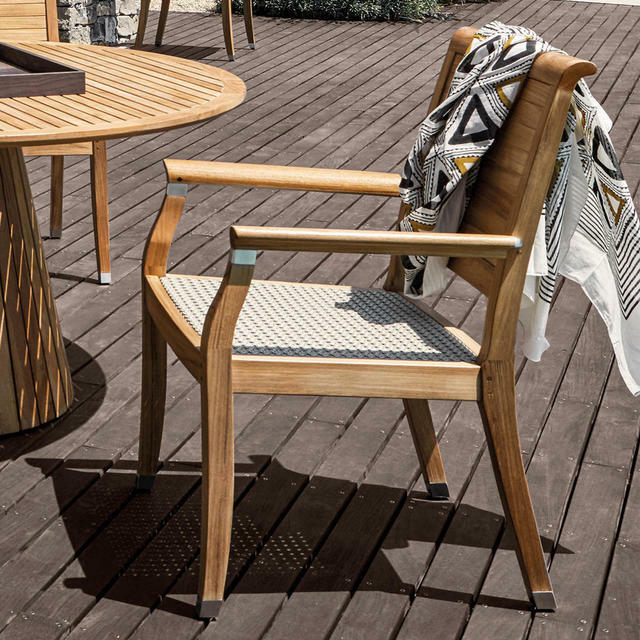 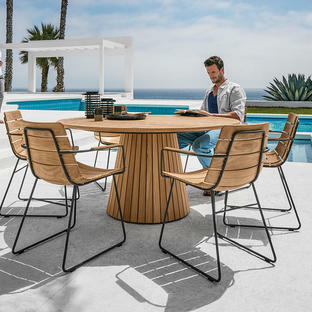 Buffed finish teak frame with woven all-weather wicker seat panel.